Cultural Red. 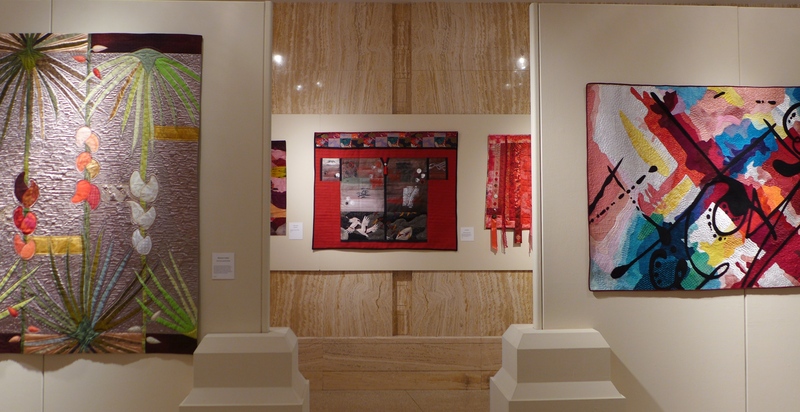 – An exhibition of contemporary Fiber Art. 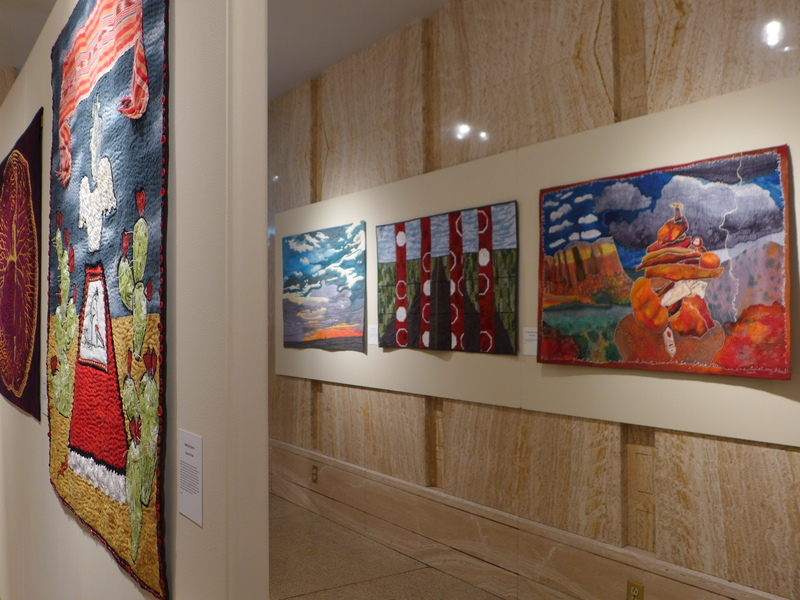 Friend Lisa and I attended an exhibition of contemporary Fibre Art at the Capitol Rotunda Art Gallery presented by The Studio Art Quilt Associates of New Mexico. The first one is Tibetan Treasure, the second is Abuela. This quilt was made by Denise Seavey, there was no web site listed. Nora Bebee created the two quilts above, there was no web site listed. Betty Busby created these two interesting pieces. Tagged with: Appliqué, Art, blog, color, Crafts, Creating a quilt., design, photography Feature. The second image on the far right, that very colorful quilt. Is there any chance you know who made it? I’ve spent a couple hours trying to find it anywhere else on the internet! I love it so much! Ali, I took these a while ago… because it was a group shot I didn’t add the makers however, it looks like Katie Pasquini to me. Previous PostThe design ideas are whizzing around my head – Santa Fe NM.